If you are ready to publish and don’t want to take the traditional publishing route, then the quickest and easiest way is to use Kindle publishing. Kindle Direct Publishing (KDP) offers the fastest publishing process for an ebook. It only takes a few minutes set up your account and start uploading your Kindle ebook. When you finish publishing your book, it will be available in Kindle stores worldwide in around 24 hours. You can earn 70% royalty on sales, and if you join KDP Select, you can offer your book for free to help you in promoting your book. You can also enrol your book in the Kindle Owners’ Lending Library and Kindle Unlimited. If you wish, you can also publish a printing on demand paperback version of your book. You are free to choose the list prices for your books, as long as your price is $0.99 or higher. Kindle ebooks are by far the most popular ebook format with ebook readers, and Amazon is the biggest seller of ebooks in the world. If you are new to self-publishing and do not want to go through a long learning curve to publish a paperback then it is an ideal way, and business model, to become a published author. Here is a step-by-step guide for Kindle publishing to help you on your way. 2. Getting your manuscript and ebook cover ready for publishing. Go to https://kdp.amazon.com/ to begin setting up your new KDP account. 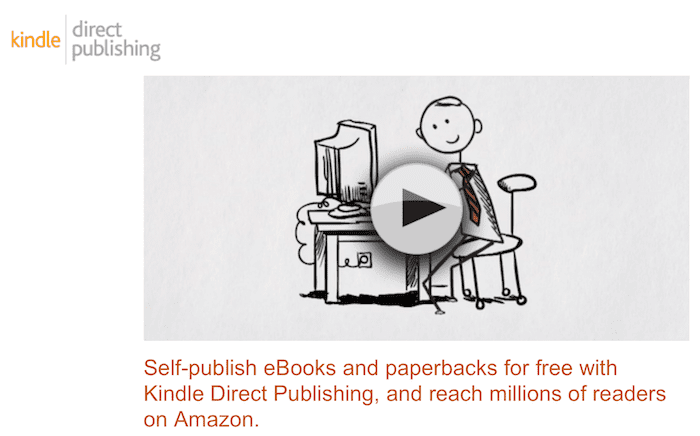 On the welcome page, you will find a short video that explains the basics of KDP and Amazon Kindle. 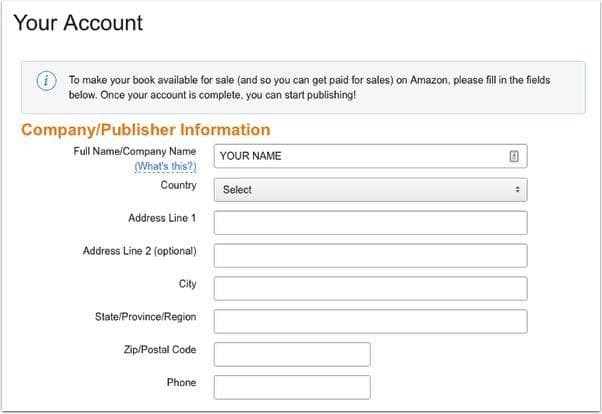 On the right of the page, sign in using your existing Amazon account. 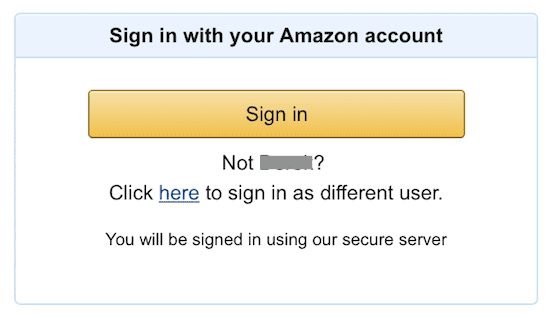 If you do not have an Amazon account, you will be prompted to open a new account. Once you are signed in, complete your details in the following form. When you have completed all your personal details, you will be prompted to enter your payment and tax information. It is very important to complete all the required information to ensure that you will get paid for sales of your ebooks. Now you are ready to start publishing. If you have everything ready, then you can move on to the next step, but you should read on as a quick check. 1. Make sure you save your Word file in .docx file format. This is better suited to ebook publishing and will give you fewer problems with formatting. 2. Use Word headings for your title and chapter headings. The best is to use Heading 1 for your book title on the title page and Heading 2 for all your chapter titles. 3. Run a thorough grammar and spell check. You can use the tools in Word, but a much better way to check your manuscript for errors, typos and mistakes is to use a premium online checker or writing assistant. I highly recommend the Grammarly online grammar checker. It is an excellent program, which I use myself, and is perfectly suited to finding and suggesting corrections in a long text such as a book. Another choice that is very popular with authors is Prowritingaid. It is ideally suited to checking long manuscripts and has many reports that can help improve a long text. 4. Do you have a book cover? If so, you are good to go. But if not, you will need an ebook cover. If you were publishing a print book you would need a high-resolution custom cover. Very often, an ebook cover is created from this. However, hi-res covers are expensive. A less expensive way is to buy pre-made ebook covers for between $30.00 to $50.00. Another ebook cover alternative is free. Go to Canva.com and you can create a cover from hundreds of templates. All you need to do is change the text to your author name and title. Here is an example of a Canva book cover. It is not too bad at all. Go to your KDP dashboard and select + Kindle ebook. You will then start completing your new book’s details. It is very straightforward, but you should take care when selecting your 7 keywords and 2 categories. 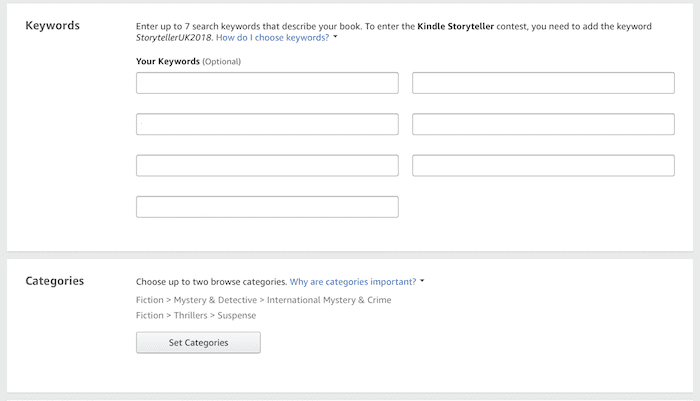 If you would like more details about these two areas you can read this article on how to select the best keywords for your book. Once complete, click save and continue. On the next page, your Kindle Ebook Content, you will need to upload your book in two parts. Your manuscript and your book cover. There is the option to see a preview of your Kindle book. Make sure you use the online previewer to check that everything is perfect. Once you are happy, save and continue again, and you will be at the pricing page. Be careful here! Amazon will prompt you to enrol in KDP Select. There are some things to consider before enrolling. Your new book will be included in Kindle Unlimited, and you will receive 70% royalty on all Kindle store sales. However, you will need to grant exclusivity of your ebook to Amazon. You can read more about the Pros and Cons of KDP Select before you make your decision. Now you can set your selling price. Always set your royalty option to 70%. Selling your book at a very high price will obviously reduce your potential sales. But setting it too low can make it look too cheap. The sweet spot is usually between $2.99 to $4.99. There is the option to vary your price in different markets, but there is rarely a need to change these settings. The last thing you need to do is hit publish. You’re done. Even though Amazon says up to 72 hours, new kindle ebooks in English are usually published and available for sale within 24 hours. The most common ways to promote your new Kindle ebook are by using social media or your blog or website to help readers find your book. There are hundreds of book promotion ideas, and you can read about these in some of our articles. You could also use a book promotion service. Whizbuzz Books offers one year of book promotion on a wide range of online networks for a very reasonable fee. It might look like a lot of steps, but if you have everything ready to publish it only takes a few minutes to publish your new book on Amazon Kindle. For new self-publishers, ebook publishing is now the most popular way to find readers. Publishing on Amazon is quick, efficient and your books will be available for sale almost immediately to a worldwide market. Further reading: How Do I Choose Between Amazon KDP and KDP Select? What ebooks can I publish? *(While reviewing the book(s) listed below, we found content inside that is freely available on the web ) : what is problem ? It means one of two things. Either you have copied content from the Web. Or you have your text available online. What should I do after downloading a book in the public domain? Can I change content and how? Why are you copying? That’s not what writing a book is about. If you want to publish public domain work, read Amazon’s KDP terms and conditions carefully.